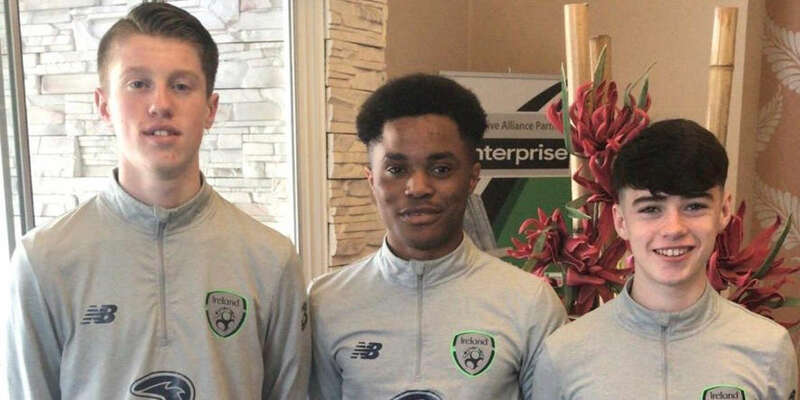 Glory Nzingo, Aaron O'Reilly and Ben Quinn have been named in Jason Donohue's Republic of Ireland Under-15 squad for two international friendly games in Czech Republic this week. Speaking ahead of the trip to the Czech Republic, Donohue said he is looking forward to working with the players for the final time, before they move to the Under-16s next year. "This group has done really well this season. We got got wins against Poland and Hungary and good draws with Spain and the Netherlands. The maturity of this group and the style of football they have played has been a credit to their clubs," said Donohue. "This is it for the lads at Under-15s. We made some changes to this squad, as we have done for every camp. We're looking forward to the two games, before the lads move onto Paul Osam's Under-16s."